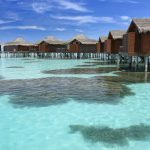 The Maldives island resort of Anantara Veli is perfectly suited to couples or groups of friends looking for a relaxing island hideaway where turquoise waters beckon from your choice of intimate accommodation bungalows, some with direct lagoon access. 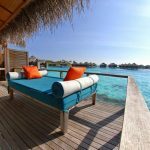 Unwind on a sun deck overlooking the palm fringed island and pristine coral reefs in the South Malé Atoll, just 35 minutes from Ibrahim Nasir International Airport. The perfect romantic getaway is provided for couples, whether on a honeymoon or another special occasion with a host of dining options of various world cuisines, premier five star Maldives resort facilities such as an infinity edge pool and fitness centre, as well as a multitude of water sports, from diving to surfing, deep sea fishing and sailing. At the stunning Maldives resort, you can unwind any way you choose. 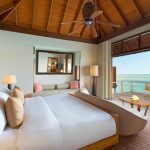 Children and families are most welcome to stay on their sister resort, Anantara Dhigu, which is just minutes away and offering a children’s club, family friend accommodation, as well as a range of activities and facilities specially designed with families in mind. 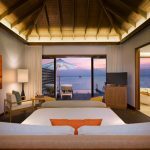 In addition, Families are able to dine at Baan Hurraa, Origami and 73 Degrees restaurants on Anantara Veli for lunch and dinner. 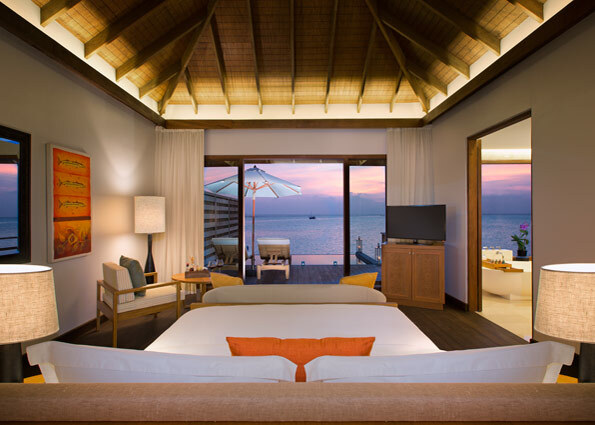 The spacious 92 square metre Deluxe Over Water Bungalows at Anantara Veli Resort & Spa offer all the charms of island life coupled with comfortable accommodation. 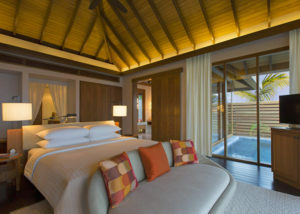 Enjoy a separate dressing area and exclusive outside double sun deck on your private Maldives overwater bungalow. 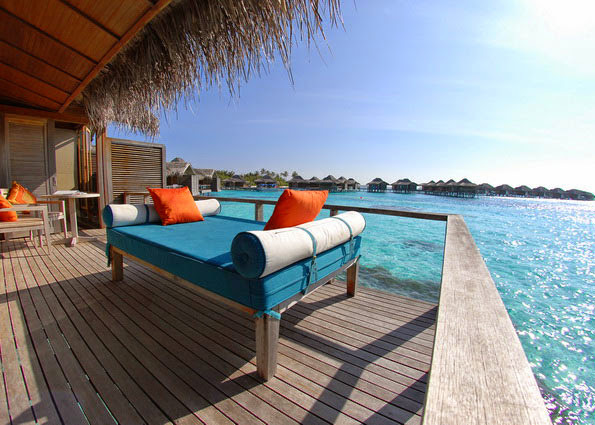 Recline on your sun loungers that look out over the glorious turquoise waters of the expansive lagoon. 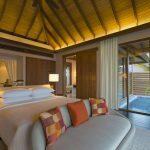 Every Deluxe Over Water Bungalow allows direct access to the lagoon, as well as an interior infused with a soft island design aesthetic. In-room facilities in these luxurious bungalows include flat-screen television, mini bar and high-speed internet access ensuring that you have both all the comforts of home and modern accommodation. These remarkably luxurious and private bungalows occupy a secluded cliff edge and directly face the Indian Ocean. 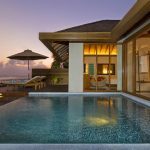 Each Ocean Pool Bungalow offers a magnificent plunge pool accompanied by 125 square metres of inviting indoor and outdoor space, with beach and lagoon access only a short stroll away. 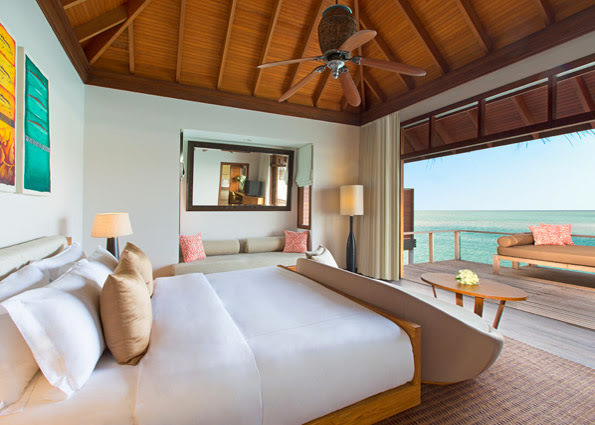 Designed with hardwood flooring, island inspired decor and a wealth of signature comforts, these charming hideaways are characterised by intimacy, natural style and breathtaking ocean panoramas. Sleep in a sumptuous king size bed that is dressed in the finest linens. Step into your air conditioned bathroom to soak in a generous bathtub while playing your favourite iPod tracks. Unobstructed views of jewel blue waters and rolling waves are admired inside through floor to ceiling glass doors. Relish the same dramatic view outside, feeling revived by the ocean breeze. Take to your veranda to bask under the sun on a lounger, replenished by a tipple from the mini bar. 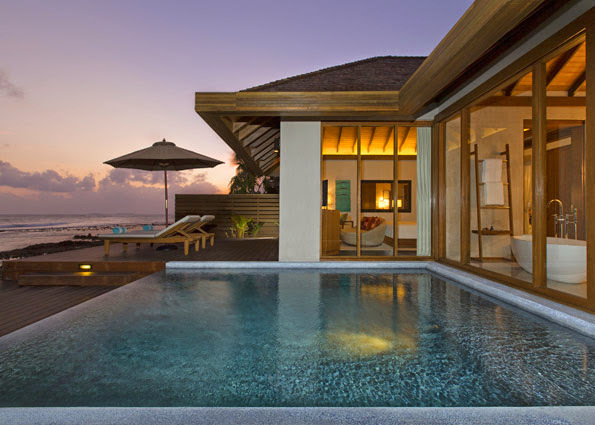 Or refresh in your personal plunge pool in a tranquil world of your own. 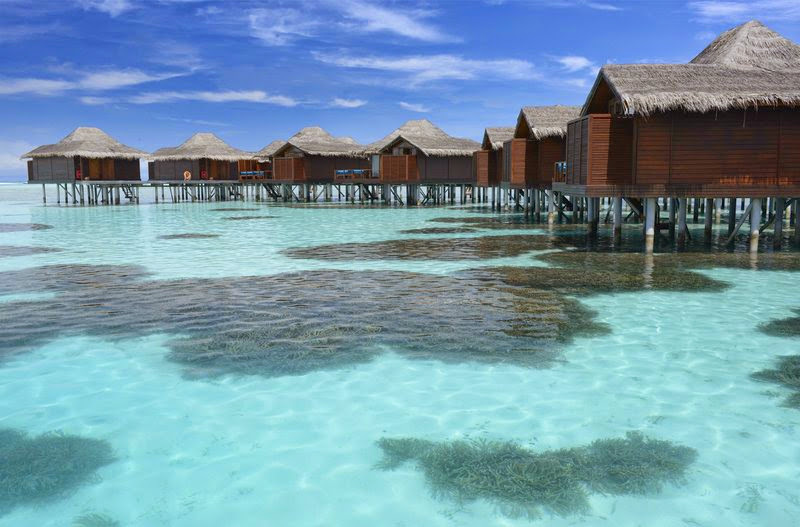 These idyllic romantically styled bungalows are poised directly above a turquoise lagoon. Slip straight from your deck into the azure waters below, or take a dip in your private plunge pool. Treasure the intimacy of an over water sanctuary that offers breathtaking views and a modern luscious design. 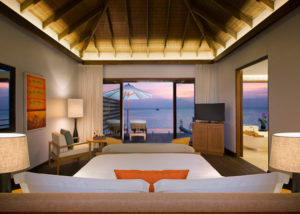 Unravelling 125 square metres of sumptuous space, Deluxe Over Water Pool Bungalows blend signature Anantara comforts with destination inspired design and all the comforts you desire. Relax in your spacious bedroom, where hardwood flooring lends a stylish feel. Sleep in a king size bed that is dressed in the finest linens. Sip a beverage from your personal in room bar and listen to your iPod as you laze on a lounger outside, admiring a panorama of jewel coloured waters meeting endless blue sky.